I have a friend that won't set resolutions on the New Year. For me, it's my favorite time of the year to reflect on my life, my business, and my goals. For my firned, it represents a time of letdown and failed attempts at life. That kind of outlook is depressing to me. I love the guy, but he's letting himself down before he even tries. As an entrepreneur, I've heard a lot of people say that one of their goals this year is to get their company's finances in order - to finally have a clear picture of what's going on. It's a worthy goal, but for many, it seems unreachable becuase it would mean hiring, training, and designing the perfect accounting system. Who has time for that? That's why so many people are turning to a virtual accountant to get help. 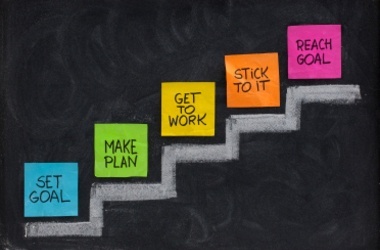 If you've never thought about using one, here are some of the benefits and ways they can help you completely own your New Year's resolution to become financially fit. This option tends to be 40 - 60% of the cost of an in-house staff member. Even if you have a bookkeeper in-house, you can still get sucked into menial accounting conversations that destroy your calendar. The goal with a virtual accountant is that you'll have someone with so much experinece working on your books, that those menial moments go away. Are your books perfectly clean? Can you really see how your business is performing financially? Most of the time, a company is struggling with a messy chart of accounts, unreconciled data, and mysterious journal entries; all of which cloud your reports. It's time to cut through all of that. One of the main reasons people look to an experienced virtual accountant is to get a clear picture of their finances. They know that other business owners get dashboards, tools, and reports to help them make better decisions, so why shouldn't they get the same? It's a good question. When your accounting system improves, your collections process improves along with it. Because you'll have a dedicated person making sure that invoices get out on time and that collection calls are being placed when necessary, you'll get paid faster. 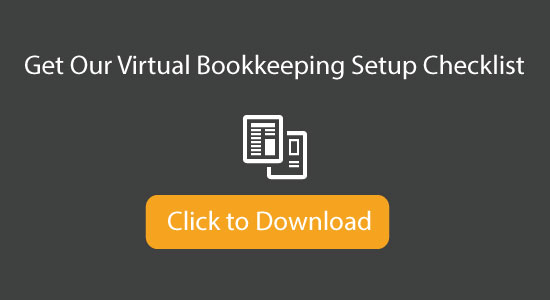 Virtual accountants work in the cloud which means that they tend to have a decent grasp on software and technology. That knowledge will get applied to your business so that you'll have a technology based accounting platform. 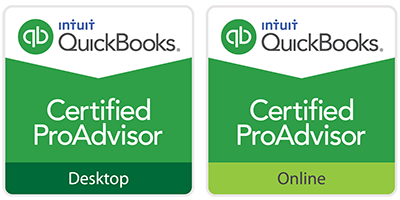 Unlike an in-house bookkeeper or accountant, your virtual team can't get away with not being certified in accounting programs, softaware platforms, and more. Why? Becuase it creates a competitive advantage for us. If you do decide to outsource, make sure to ask your future team what kinds of certifications they have. This is one of my favorite. It's true that an in-house bookkeeper will work hard, but they are approaching the position with an employee mindset. A virtual accounting team is a business, and as such, comes to your relationship with a customer service mindset. There's a big difference between the two. With an outsourced team, they will likely be able to host your accounting software which means that you'll be able to get access to it from the internet. This is so much better than having it sit on a computer in your office. Everyone will now be able to access it easily and create collaboration around your financial platform.